Founded in 2012 by Aidan O’ Carroll, Avalanche is a website development firm which aims to fill a gap in the market by producing high quality websites for small and medium enterprises within Ireland. Avalanche is currently approaching its landmark 50th website. Beginning as a one man operation, the company now has five employees, all who are dedicated to turning Avalanche into the biggest design firm in the country. We spoke with Aidan to find out more about this young, vibrant company. Q1. Hi Aidan. Thanks for taking the time to do this. Can you tell me a bit more about what services Avalanche offers? Hey John, no problem. 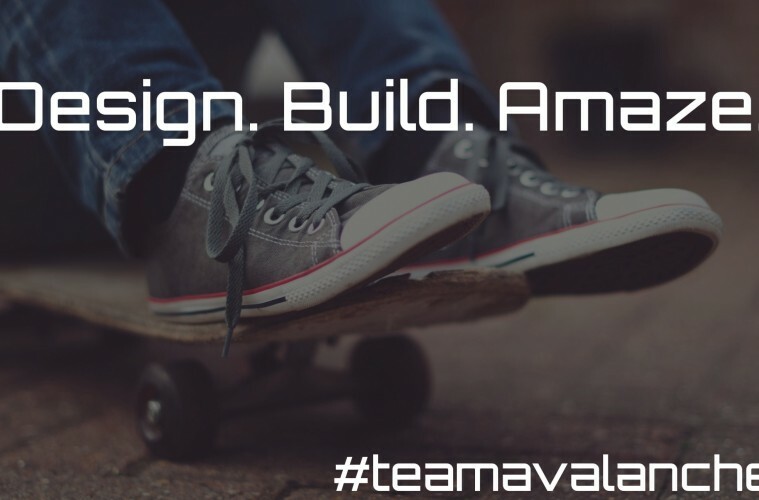 Avalanche offers unique website design, e-commerce solutions and search engine optimisation. We have also created software called Highwind for small businesses which allows them to build a social media following organically which helps them grow their client base at a minimal cost. It has proven particularly helpful for start-up businesses as traditional marketing can be a drain on resources in the early days of business. Our main work though is our website development which we believe stands up to any other firm in the world. Q2. Starting a company in 2012 can’t have been easy. Starting one straight out of University even more so. How would you describe the journey so far and what hurdles have you faced? The main hurdle we faced upon starting was ageism, I was 22 when I began Avalanche and a lot of businesses were slow to put some faith in us at the beginning, particularly as our marketing angle is very lighthearted. Thankfully though, several businesses and individuals saw the potential in us and word of mouth began to spread from there, we extended this to social media where we source a lot of clients and have managed to negotiate that hurdle successfully to the extent that people who would not return calls are coming to us. It is a tough choice for graduates but I highly recommend it if you are confident in what you can do and believe in yourself. It really wakes you up to the business world after the naivety of college life wears thin. It really is sink or swim! It was a tough journey at the beginning particularly for a graduate fresh out of University but we have gone from creating microsites for local causes to building sites for national campaigns and multinational corporations and we are confident of further growth going forward. Q3. Tell me a bit more about the Avalanche team. How many employees have you now? Avalanche begun in my bedroom at my parent’s house and we have managed to get out of there thank God! #TeamAvalanche is now five members strong. I was very slow to learn how to delegate as it is hard at the beginning to trust anyone with your baby but I have a great team, each person brings something unique to the table varying from fields such as social media expertise to high end development coding. I like to think I am a jack of all trades and oversee each element to a degree (particularly the coding sector) but you cannot micromanage in the IT world as everything just moves too quickly so you have to let people get on with it and thankfully #TeamAvalanche are capable of this. We hire people in the 21-25 age bracket as I am a firm believer in the ideas of youth and innovation. This allows us to get in touch with the most active audience on social media and get to the forefront of technology and hopefully source the best people to expand. This is why we only advertise job positions on social media as we need people who are actively involved in the Irish technology scene. Q4. The Web Development sector is very overcrowded. It almost seems like there is a race to the bottom now to see who can produce the cheapest website. In a recession companies often foolishly get attracted to these artificially low prices. Have you found it difficult to compete or do you find the quality of your work speaks for itself? It is a very tough market to stand out in, especially as these “Free” drag & drop website companies seem to be popping up every other night and companies regret using these services in the majority of cases because of the amount of hidden costs. As a whole Ireland is still computer illiterate and web development can still be a scary place for a lot of businesses who are unaware of costs and time involved. That is why we try to be as transparent as possible and make it as simple as we can for our clients and walk them through each stage. We believe that the quality of our work matches anything on offer from any other firm in the world. We offer fully responsive, unique solutions to clients and we have yet to find someone who isn’t happy with their end results. Going the extra mile is a necessity in our market and we find it really sets us apart from competitors. Q5. I’ve taken a look through your portfolio. I’m a big fan of clean, full width designs. Do you find that people’s attachment to outdated versions of “Internet Explorer” is a hindrance to pushing the boundaries of web design? We are as well John, we try to make all of our sites full width that automatically adjust according to the device they are being viewed upon. Outdated versions of Internet Explorer are just one of the problem you must work with when you develop responsive solutions. We just have to make adjustments in our CSS to tackle them and in the majority of cases we can keep the majority of the usability. iPhone’s are another common problem to code for as they can be problematic but at least a third of any site’s traffic will be from mobile devices so we cannot afford to ignore the specific needs of some devices/browsers. On the flip side of it, we also build solutions that are very forward thinking with the more ‘advanced’ browsers in mind, we are comfortable that we can continue to push the boundaries of website design moving forward. Q6.You mentioned you do some philanthropic work. Can you tell us some more about that? We try to dedicate some of our resources to help charitable events in our area as charities can find it tough to raise much needed funds, since 2012 we have helped raise over €10,000 for various charities and we are very proud of that. We also help with campaigns which we believe will help improve Ireland such as ‘The Girl against Fluoride’ which is aiming to remove fluoride from Irish water. We have also done work with our local gay pride board as we are big believers in gay rights and think that the laws in Ireland are ridiculous and need to change. Upcoming work for Avalanche will be the overhaul of the Bee for Battens website which is a fantastic charity and we are delighted to be a part of it. Q7. What’s the best way to get in contact with Avalanche? You can get me at [email protected] as well! We are at @AvalancheDes on Twitter!